When you think of what's beautiful about Anguilla, people typically think about its soft sandy beaches, its unforgettable sunsets, terrific food and warm people. But, the beauty of Anguilla goes much deeper and much further back than that. Predating colonial rule and scattered across Anguilla there are several heritage sites with remnants of Anguilla's first locals, the Amerindians. We, Nori and me, Kirmani, and José, Anguilla-Beaches.com interns, were lucky enough to get a tour of the well known Big Spring Heritage Site with the Anguilla National Trust (abbreviated "ANT"). Our tour started at the Anguilla National Trust. We met the ANT team and were promptly on our way. The drive to Big Spring isn't too long, but then again, nowhere is really a "long drive" in Anguilla! 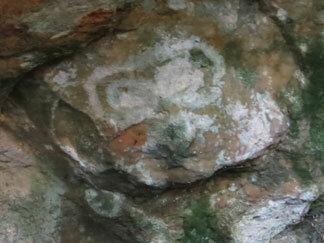 When we got to the site our tour guide, Farah Mukhida, explained how Big Spring was first identified as a site with historical importance in the 1980s when Mr. John Lloyd noticed the carvings along a cave wall while walking his dogs. Archeologists were called in and, through carbon printing, Amerindian usage of the site was dated to AD600-AD1400. Big Spring was established as a protected area in 2001 by the Government of Anguilla and the Anguilla National Trust, with assistance of the Island Harbour Community. The actual spring has such a mystical feeling. The rocks and trees that make up the site form a sort of sleepy canopy, allowing in the most sunlight during sunset when the sun is the west of the spring. Big Spring was a celebratory place, where each birth and death was recorded by etching faces into the rock walls of the spring. 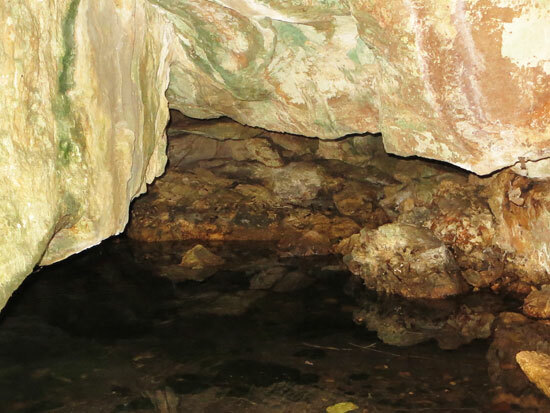 Interestingly, Big Spring was used well past Amerindian times. Anguillians used it as a water source into the 1900s! Usage of the site continued through to the 1970s as a place where locals would come and socialize. Unknown shifts underground during the 1990s caused the spring to dry up. When we visited, it had just rained. The recent rainfall allowed us to get a glimpse into the past, seeing what the spring would look like today if water still flowed. We followed Farah past the gate that marks the site, down wooden steps, across a ramp, and landed on a platform surrounded by trees and limestone rock. 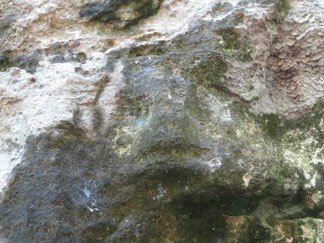 At first glance you really can't notice them, but there are many faces carved into the rock wall! To get a closer look at the formations, we followed Farah off the platform, down to the rocks and the etchings, officially referred to as petroglyphs. According to Dr. John Crock from University of Vermont and his colleague who took high resolution pictures of the site, there are about 150. 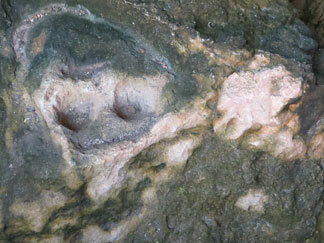 My favorites were the ones that were actually moulded into the rock's natural curves instead of being carved in. Lasting 20 minutes, the tour of Big Spring is quick, yet very interesting and highly captivating. It's amazing to be so close to such rich history that extends back centuries and centuries. 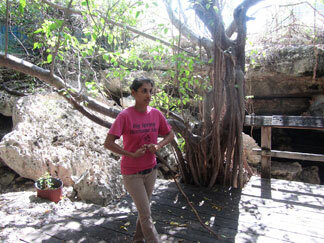 Thank you, Farah and the Anguilla National Trust for bringing us to the site! 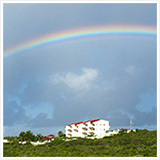 The Anguilla National Trust Act was established in 1988 and began official operations in 1991. It was established to protect, conserve, and promote Anguilla's natural and cultural heritage. 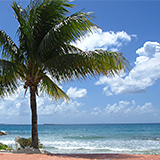 Today, Anguilla's National Trust offers a number of interesting cultural tours. Big Spring Heritage Site tour takes about 20 minutes and costs $10 per adult and $5 per child. A tour of Big Spring can also be rolled into one of the ANT's larger tours, including the ANT Heritage Tour and and the ANT Amerindian Settlement Site Tour. Additional stops at the East End Pond Conservation and Sandy Hill Bay can also be arranged with the Heritage Tour. The Anguilla National Trust also offers a Birding Tour (sites visited depend on the time of year) and a Walking Tour of Historical Lower Valley. The latter tour begins and ends at the ANT office. The tour goes along Coronation Avenue to the top of Crocus Bay Hill. The walk then continues through Sacchasses. Then, it's back to the office. These longer tours usually last between 2-3 hours, depending on the number and type of stops the group wants to make. They cost $40-50 for adults (price depends on group size) and $30 for children (12 years old and younger).